Bring out all the ponies in your E36 M3 with this Active Autowerke E36 M3 Track Pipe Exhaust. This Active Autowerke Track Pipe exhaust for the E36 M3 was designed with a 3.0" stainless steel collector with a straight through design, unleashing the cars true potential. This track pipe replaces the stock CATS and bolts up the existing manifold and the factory rear muffler. Or you can match it up with Active Autowerke's Gen 3 Signature High Flow Exhaust for maximum performance and sound. This system is directly bolt on, utilizing the stock mounting points which means no cutting or welding. The exhaust tone produces is a sporty mellow tone at low rpms, giving way to a distinct racy growl at wide open throttle. 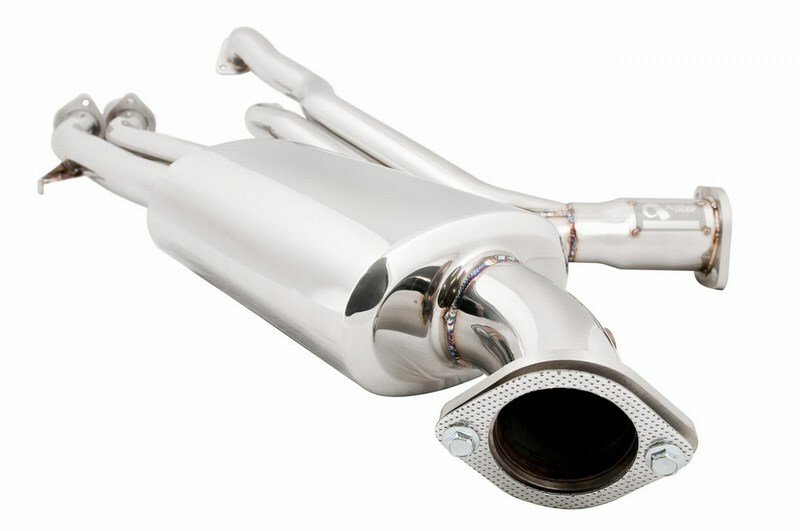 Weighing in at just 28lbs, this performance exhaust shaves off 30% off the stock exhaust. Bring out all the ponies in your E36 M3 with this Active Autowerke E36 M3 Track Pipe Exhaust. Note: This is for the E36 M3 1996 - 1999, which require a set of 02 Simulators to work properly with the Active Autowerke Track Pipe.